Building on the sell-out success of last year’s Parallel Worlds Videogame Design conference at the Victoria and Albert Museum in London, we’re excited to announce our follow up event, providing a critical and cultural platform to discuss one of the most important fields in contemporary design. These interactions were clues: There’s something interesting going on here. 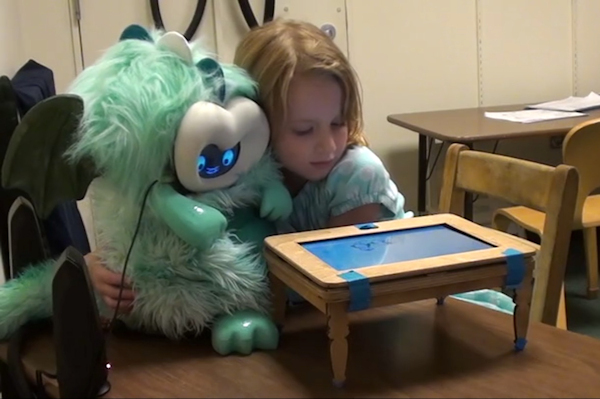 Children ascribed physical attributes to robots—they can move, they can see, they can feel tickles—but also mental attributes: thinking, feeling sad, wanting companionship. A robot could break, yes, and it is made by a person, yes, but it can be interested in things. It can like stories; it can be nice. Maybe, as one child suggested, if it were sad, it would feel better if we gave it ice cream. Issues on narrative, spectatorship, authorship, etc. The ACM International Conference on Interactive Experiences for TV and Online Video (ACM TVX) is the leading international conference for presentation and discussion of research into online video and TV interaction and user experience. The conference brings together international researchers and practitioners from a wide range of disciplines, ranging from human-computer interaction, multimedia engineering and design to media studies, VR/AR Technologies, media psychology, media artists, and sociology. ACM TVX 2014 was held in Newcastle upon Tyne, UK, TVX 2015 in Brussels, Belgium, TVX 2016 in Chicago, USA, TVX 2017 in Hilversum, The Netherlands. Next year TVX 2018 comes to Seoul, Republic of Korea for the first time in ASIA. All members of TVX look out the opportunity to build up a strong companion research community with Asian researchers and students. 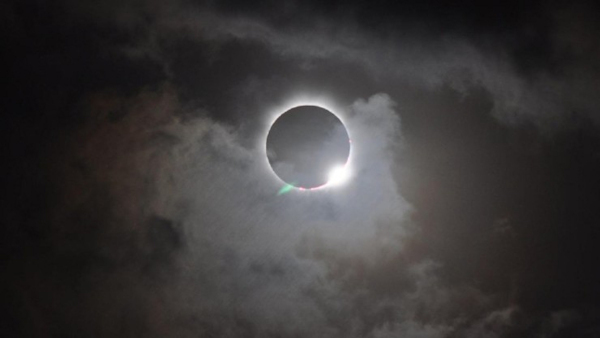 Although not even the best 4K OLED or QLED TVs on the market will beat experiencing a Total Solar Eclipse live and in-person with your own eyes (while using special-purpose solar filters, such as “eclipse glasses” or hand-held solar viewers), for those who can’t get a true naked-eye view of the upcoming fantastic astronomical event, there’s CNN. In partnership with Volvo, CNN will be broadcasting 2017’s Total Solar Eclipse of North America on August 21, and you’ll be able to watch it on your 4K resolution TV/Monitor or in immersive 360-degree virtual reality using a VR head-set. The broadcast will be available all around the world in 4K resolution at CNN.com/eclipse, or in 4K and other available resolutions and formats through CNN’s mobile apps, Samsung Gear VR powered by Oculus via Samsung VR, Oculus Rift via Oculus Video and through CNN’s Facebook page via Facebook Live 360. According to CNN, the livestream will be enhanced by real-time graphics, close-up views of the sun, and the running commentary of experts from the science community. Four cameras will be spaced across the United States in four different locations: Snake River Valley, Idaho; Beatrice, Nebraska; Blackwell, Missouri; and Charleston, South Carolina. Each camera will be shooting 4K video shot of the total eclipse’s path. The double-blind peer-reviewed Yearbook of Moving Image Studies (YoMIS) is now accepting abstracts from scientists, scholars, artists, film makers, game designers or developers for the fourth issue entitled »Image Evolution. Technological Transformations of Visual Media Culture«. YoMIS will be enriched by disciplines like media and film studies, image science, (film)philosophy, phenomenology, semiotics, design and fine arts, art and media history, game studies and other research areas related to static, moving and digital images in general. The history of images can be described as a history of technology and mediality, because material transformations have always had a great impact on form, structure or content of mediatized and often multimodal representations. It took many years from the origin of images in the caves of our prehistoric ancestors to the interactive, arithmetic and highly immersive images of the digital age. This development always seemed to be deeply rooted in the potentials of media technologies and the numerous human inventions in the range of traditional craftsmanship, engineering science, computer science, and art and design. This perspective is the beginning of an autonomous media theory, whether if it starts with leading thinkers like Walter Benjamin or Marshal McLuhan. Nowadays, these academic discourses would surely work with more profound and more detailed analytical tools and concepts. But also a modern media theory that analyzes describes and characterizes technological transformations surely receives new insights. The factual embedding of images in the historical-technological processes constitutes a complex structure of an autonomous »Image Evolution« that must be highlighted, characterized and analyzed by the interdisciplinary academic discourses that are related to the functions and structures of visuality, pictoriality and forms of multi-sensoric representations. The chosen term »Evolution« is deliberately indicating structural laws that underlie historical events. These laws are not teleological or ontological driven, but more intentional and logical processes of an historical and technological interdependency. In this interdependency, the technology is evolving out of its inherent structures and additionally embedded in anthropological conditions and sociocultural dynamics. In this context, we should work with the concept of an »Image Evolution«. The editors of YoMIS would like to understand images as visual, and further multi-sensoric, artifacts that are historically and technologically embedded within the ‘developments’ and ‘relations’ of materiality, mediality and reception. Beside the integration of this different aspects the issue is also expanding the time frame of the research topic: The development of mediality is not only a project for media historiographies in the context of a media archaeology, but also connected with the logic of recent developments in the context of prototypes, future ideas and innovations. 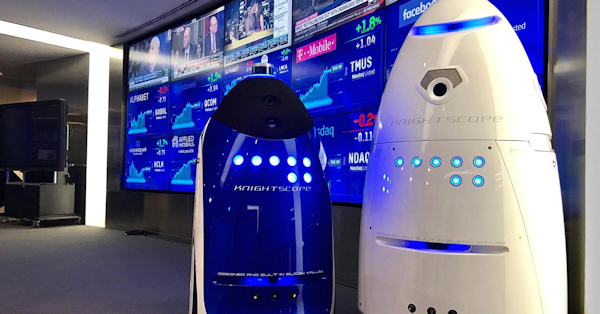 Knightscope’s security bot, for example, has been harassed by kids, painted in red lipstick and used as a canvas for graffiti artists. With jobs it’s oftentimes not the work that’s difficult, but the people. “Social robots, if they’re engaged in a public sense — even in a limited public sense — the design has to include considerations for social interactions,” said David Harris Smith, associate professor at McMaster University’s Department of Communication Studies and Multimedia in Canada. We look for full time researchers (reimbursement according to TV-L EG13). The successful candidates will be working with a dynamic, friendly, and helpful team of computer science researchers. The University of Bremen is one of 11 institutions classed as an “Elite university” in Germany, and an university of approximately 23,500 students from over 100 countries, offering a broad range of fringe benefits such as sports facilities, cultural activities and daycare. We love to work with students with strong technical skills and backgrounds across disciplines. Candidates should have an excellent Master’s degree or equivalent in computer science, or related disciplines such as design, psychology, mathematics, physics, etc. Required skills are solid experience in software development, and a very good command of English (reading/writing/speaking). Ideally, you have specialized in one of the disciplines mentioned earlier and already have first experiences in academic research. In addition, the successful candidate will be highly self-motivated, passionate about their work, and have good ability to work both independently as well as in a team in a multidisciplinary environment. The jobs are available for up to 4 years (depending on the actual profile). What happens at the exact moment of death? Religion and science disagree, but many survivors of near-death experiences have similar stories from all around the world. 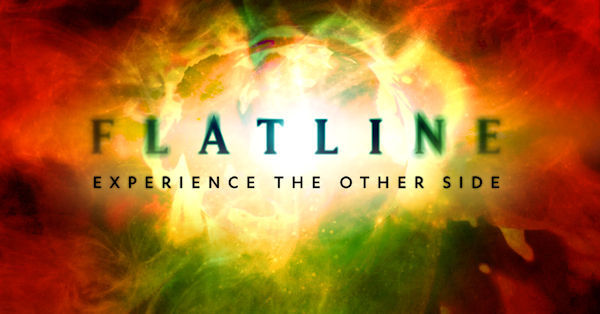 In Flatline, you’ll have your own near-death experience in virtual reality. 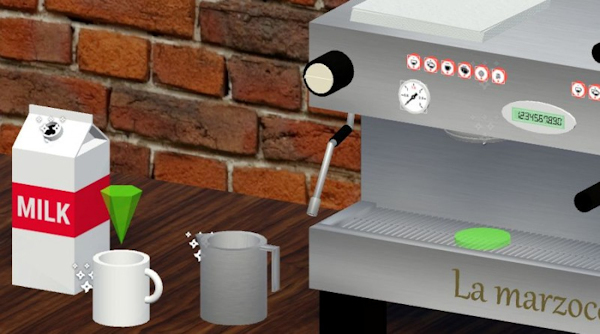 We chatted to Julian McCrea of Portal Experiences about the creation of this unique app. Hello Julian! Tell us your part in the production of Flatline. How would you describe Flatline? Flatline is a non-fiction VR series where the audience have a near-death experience, go to the Other Side and come back, irreversibly changed. In each episode you experience a Flatline, as retold by someone who had experienced it, first-hand. At the end of the episode you can hear from world expert psychologists, cardiologists and spiritualist who try and explain what happened to that ‘Flatliner’. What was the initial inspiration for Flatline? The initial inspiration came from the director Jon Schnitzer who had a close friend of his retell a near-death experience that had happened to him 16 years ago. As we began digging into it, two things stuck out. Firstly the stories were viscerally very different but patterns started to emerge. It was like peeling an onion; every time you read a new one, the mystery of what happened on the Other Side grew larger and larger.